Kindred at Home is a national organization with a local office located on Main Street in Russellville. They offer expert home health, hospice and community care to Russellville and the surrounding areas. A core goal of their outreach is to reduce unplanned hospital visits and to assist area residents in maintaining their independence. 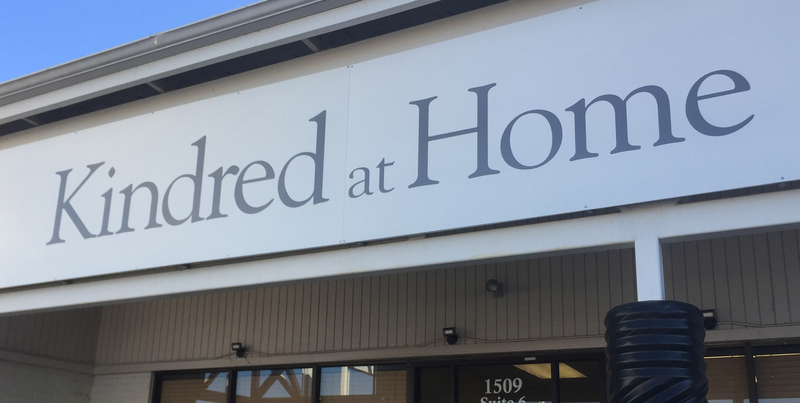 With 13 offices located around the state, Kindred at Home employs a highly skilled staff of nurses who provide the care and education needed to ensure that patients are able to access caregiving resources for extended illness or basic care and/or recover from illness, falls, surgery or injury. Supporting the patients also means that families are supported on this journey. Kristina Hoyle, RN is the branch director for community care services. “We serve over 400 patients, offering comprehensive care throughout life,” she explains. “We start with home health and offer personal care services so that we can help patients extend the time they are able to live at home,” she explains. As part of their community care services, Kindred employs insured, trained caregivers and RNs who are knowledgeable about how to help patients dealing with Alzheimer’s, extended illness, or physical and developmental disabilities. Personal care services can also include companionship and much needed respite care for family members serving as caregivers, light chore work, case management and even sitter services for patients in the hospital. These programs are available to people in both rural and urban settings and are a viable option to nursing facility care. Community care services are available for Medicaid beneficiaries, veterans, families who are low income, and/or families who need support as caregivers. As a part of their home health services, patients work with in-home nurses to take control of their treatment, manage medications, and prevent unwanted hospital visits during recovery or extended illness. “We’ll walk you through each step of the way,” says Hoyle. “We want to make this as easy as possible.” Hoyle says a patient evaluation will be conducted with 24 hours. “We want to expedite the process,” she explains, “because we know even one day can make a difference in how safe a person is at home. We want our patients to feel safe at home and to remain at home.” Kindred offers a partnership approach to care. They strive to collaborate closely with physicians and implement individual care for each unique situation. To learn more about Kindred at Home visit them online www.kindredhealthcare.com. There you will find detailed descriptions of all their services and useful articles for both patients and families. The Russellville office is located at 1509 East Main Street, and the phone number there 479-890-2730. If you are located outside the region, you can call 1-866-Kindred to speak with a registered nurse and find a Kindred location near you.